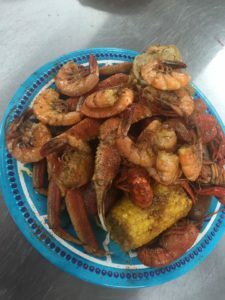 It started with a successful commercial fishing venture in Jena, then morphed into a great retail seafood market (Kathi’s Krabs) in Steinhatchee, and now is succeeding as a wonderful seafood restaurant, Kathi’s Krab Shack! The Willets family is going full-steam with their recent rehab and takeover of the venerable Lynn-Rich Restaurant, and they’re making every effort to be sure their customers leave full of good food! Lynn-Rich was a Steinhatchee stand-by when it came to big breakfasts and big lunchtime meals. However, the service was on the “slow side”, something Tom Willets and his familyseems to have overcome. And now, they’re serving breakfast, lunch AND dinner every day (except their day of rest—Tuesday!). The restaurant’s dining room , at 303 15th Street SE (Riverside Drive), has been remodeled and a larger kitchen added. The exterior is still undergoing changes. While the menu is (for good reason) seafood-oriented, there are plenty of beef or chicken options on the menu. One breakfast item that seems to have captured the local breakfast crowd is the “Senior Special”–two eggs, grits, toast and bacon or sausage–all for 4 bucks! At lunch, try any of the po’boy sandwiches (fish, shrimp or oyster). And at dinner, be sure to ask about the specials, most of which come with 2 sides and hushpuppies! 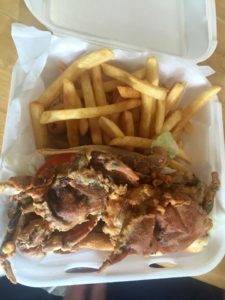 Steinhatchee has plenty of dining opportunities (Fiddler’s, Roy’s, Who Dat, Casey’s Corner and Skully’s) but with the town getting busier and busier, even during the off-season, there’s room for another restaurant or eatery. 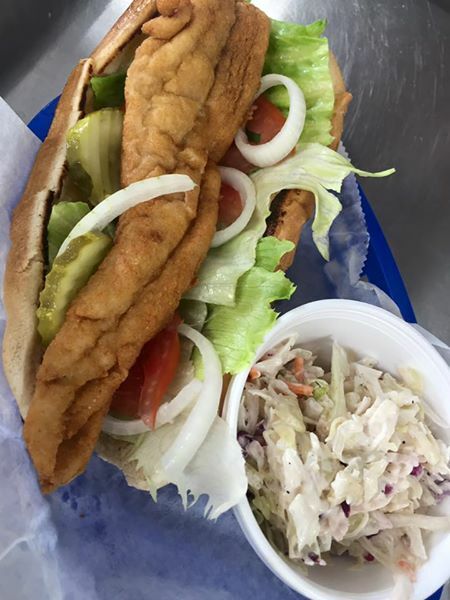 With Kathi’s now in full operation, and with their good prices, fast service and down-home atmosphere, they’ll be welcomed by locals as well as visitors.